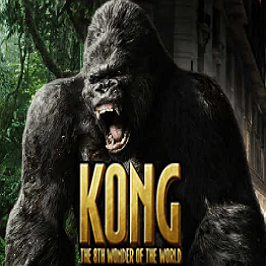 The legend of King Kong has been growing ever since it was put to paper in 1933, with various comic book, TV and move adaptations following thereafter. 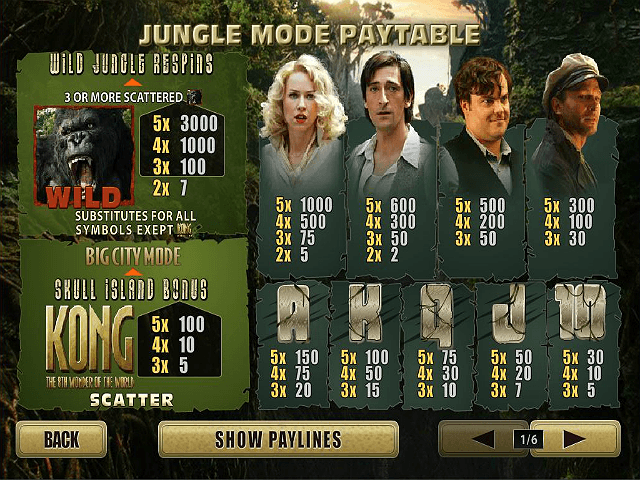 The giant ape's character swings from misunderstood antihero to rampaging beast... so it's good news that his main aim in this slot title from Playtech is to help you win lots of cash. This particular take on the famous tale is based upon the 2005 movie adaptation from Universal, so expect the likes of Naomi Watts, Jack Black and Adrien Brody to appear on your reels (as well as the eighth wonder of the world himself, of course). 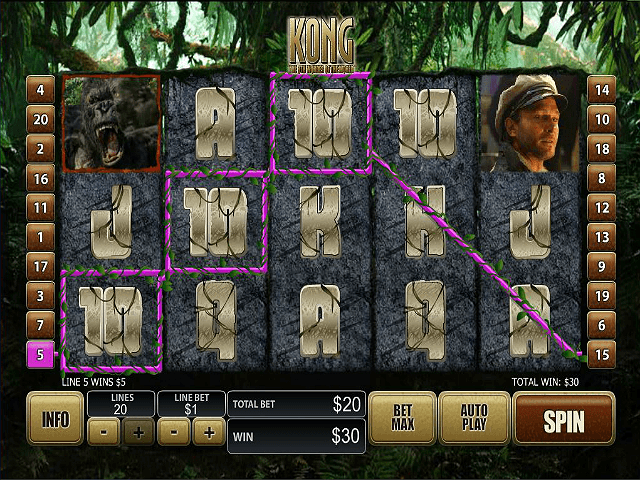 Featuring four distinct bonus features and two different game modes, it’s fair to say that this King Kong online slot adventure is an epic one. Play Kong: The 8th Wonder of the World for Real Money! The game starts in Jungle Mode, where two bonus features lie waiting to spring to life. The first is Wild Jungle Respins, triggered by simply landing three of the wild King Kong symbols anywhere on your reels. This awards you three respins in which King Kong himself is sticky – aiding your winning potential. The scatter symbol here is the Kong logo, and a trio of these activates the Skull Island Bonus. At this point you'll be shown a map of Skull Island, with your job to choose locations on the map. Match three of the different creatures to win a cash prize (Brontosaurus = 10x multiplier, Raptor = 15x multiplier, T-Rex = 20x multiplier), while King Kong pays out a 30x multiplier if you reveal just one of our hairy friend. Once you have triggered and completed the Skull Island Bonus, you'll enter the game’s second mode: Big City. While the paytable remains the same, the visual aspects of the game change and so to do the bonus features. First up is the Wild Kong Respins round, triggered by revealing three of the wild symbol. This serves up a trio of respins with expanding wilds rotating on your reels, with at least two in play at all times. Lastly, there's the City Tower bonus, awarded for landing three or more scatters. 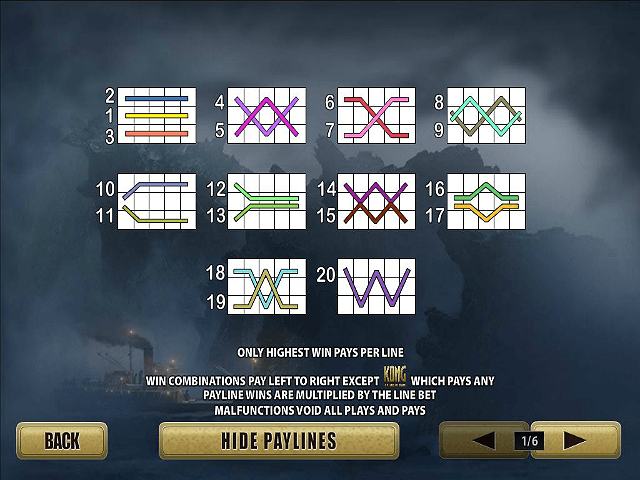 Here you will find King Kong under attack – your job is to pick a plane in each sequence to reveal your cash prize. Share this Kong: The 8th Wonder of the World Review today! 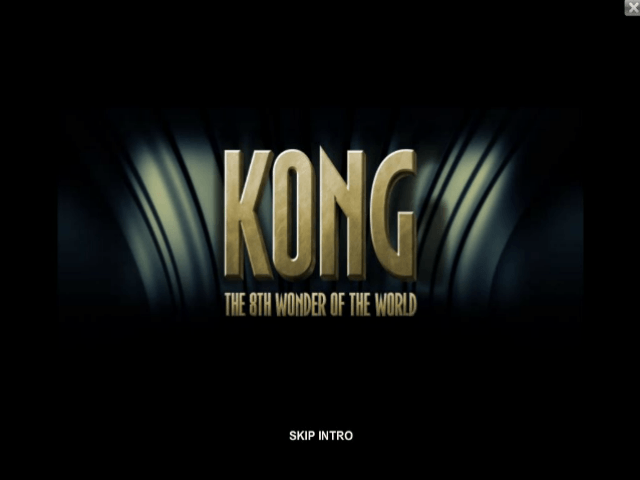 If you like Kong: The 8th Wonder of the World, you'll love these slot titles too!